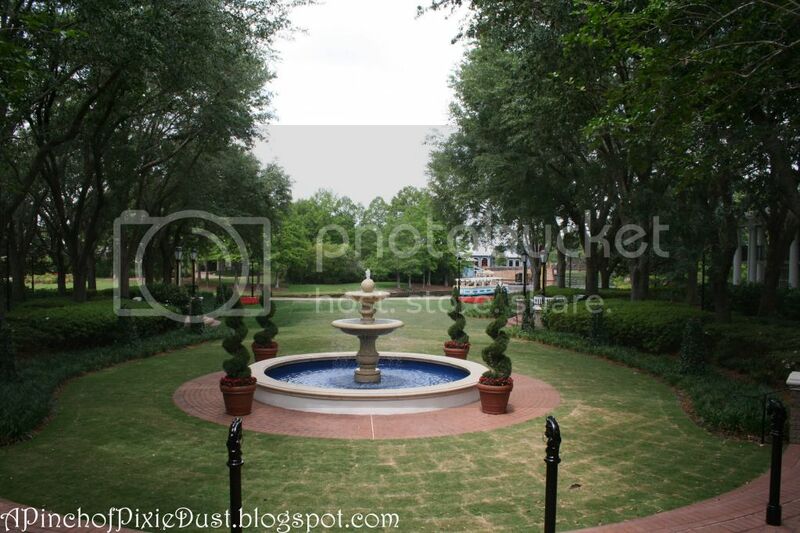 We got some great guesses on last week's trivia pic, but Amy and the anonymous commenters got it: that lovely lawn is located at Port Orleans Riverside, near the Parterre Place buildings! 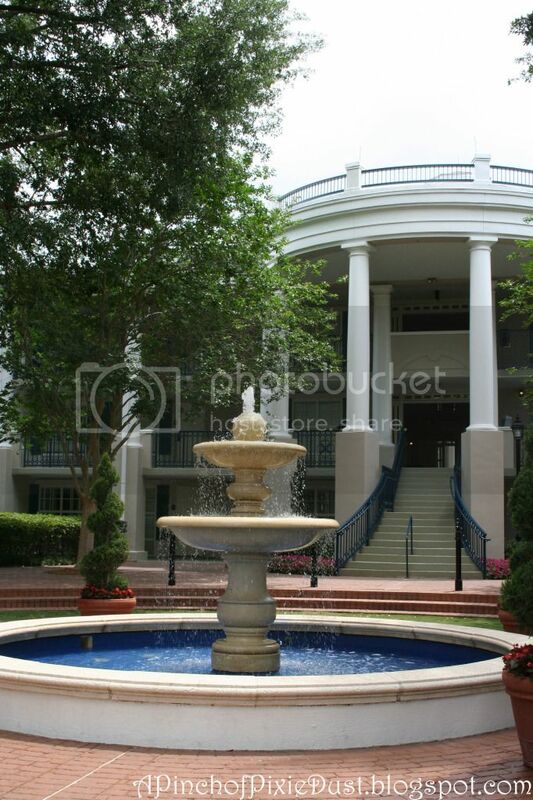 Here is a pic of the fountain taken from the other end of the lawn...with the elegant facade of Parterre Place behind it! Where at Disney World can you find a fine fellow with a fur cloak? AHHH!! The viking from the Stave Church!! I can't remember which one he is though,..is he Olaf? The one who brought Christianity to the Vikings? 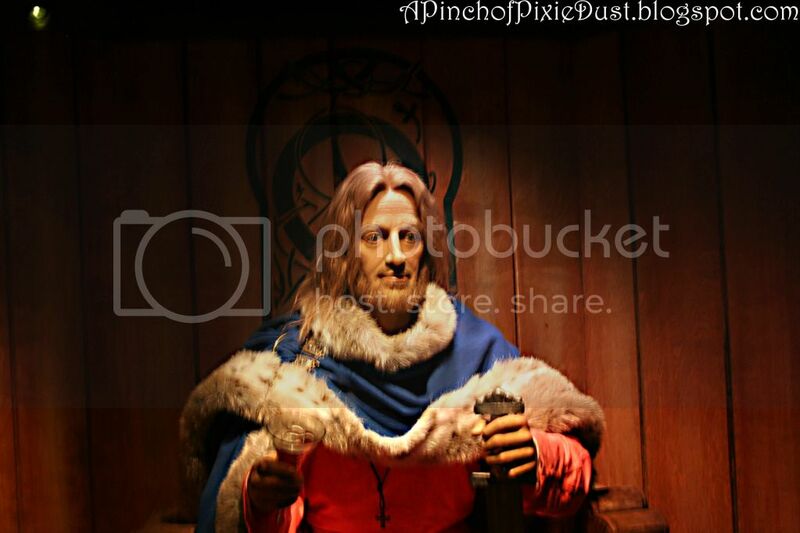 That lovely fella is in the Norway pavilion at Epcot inside the Stave Church! Haha, it's scary in there, and I'm especially creeped out after Kingdom Keepers! Hi, Emma! This is my first time commenting, but I LOVE your delightful blog! I just found it through your absolutely lovely trip report. You make my day brighter! Anyway, this fine fellow is found in the Stave Church in the Norway Pavilion at Epcot! I believe he is Saint Olaf. I think I know this one! The Stave Church in Norway at EPCOT. I'm going to guess Maelstrom, the Norway ride.